Super Easy to make & Super good to taste. This post was originally published here. All photographs (except the one below) originally published here. This soft dessert creates a semi-crunchy, ice-creamy taste combined with the most famous of all Bengali sweets – Rasgullas. Guaranteed to be loved by all ages, especially kids. Here we’ve used tinned Rasgullas due to logistical constraints. 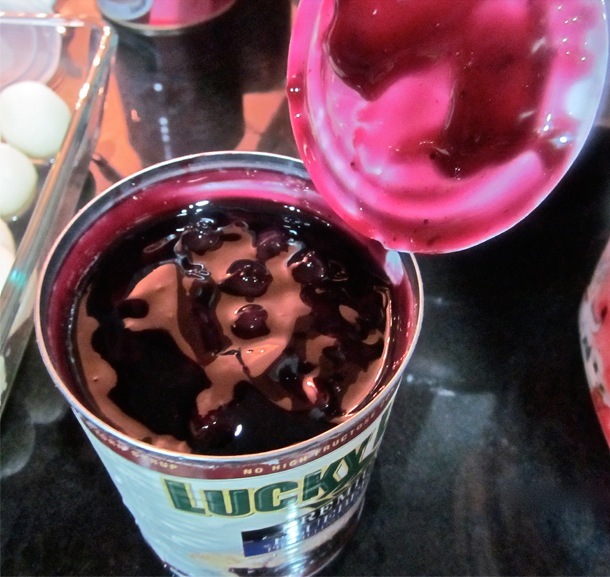 Here is how to make our very own Holi Special dessert, Ice-cream Rasgulla with Blueberry Sauce! Step 1: Open the cans! 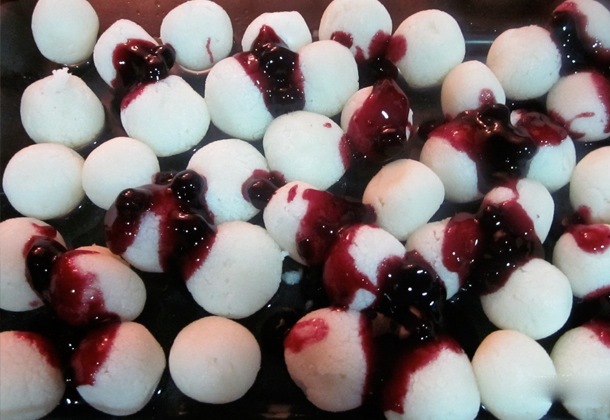 Step 4: Pour the Blueberry Sauce over the Rasgullas unevenly. Save a bit for the final touch-up! Step 5: Melt the Vanilla and Strawberry Ice-creams and pour over the rows of Rasgullas – each Vanilla row alternated with a Strawberry row. 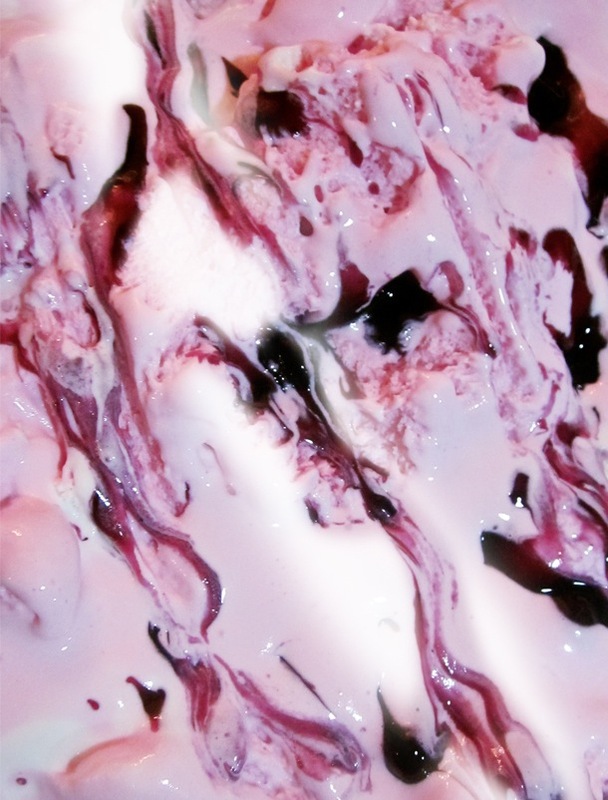 Pour the remaining Blueberry Sauce over the Ice-cream layer and let it set. 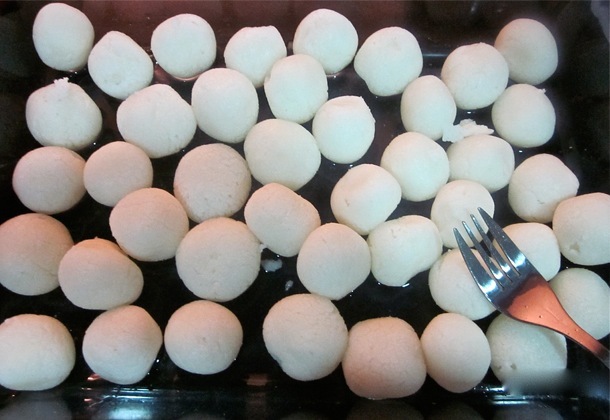 Step 6: Freeze for a minimum of one hour so that the Rasgullas freeze as well. Step 6: Take it out of the Freezer and let it thaw for half an hour before you serve. Otherwise, the Rasgullas will remain very hard. The Above 18 Version: You may pour a bit of Contreau or Bailey’s Coffee Cream to add more ‘spirit’ to the festive fervour. And…….. 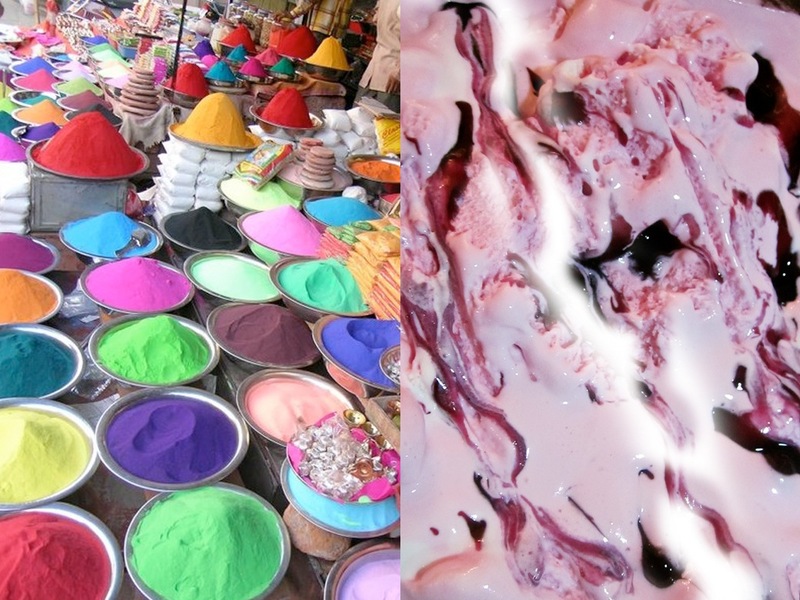 Enjoy the absolutely delicious, semi-crunchy, colourful Holi Special dessert – Icecream Rasgulla with Blueberry Sauce!